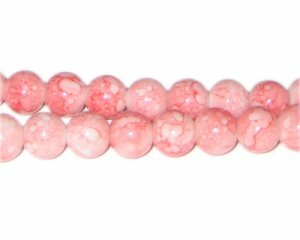 These are 10mm Rose Quartz-Style Glass Bead, approx. 21 beads on an 8" string. I am so glad I found this bead shop. A friend of mine told me about it. The beads are extremely beautiful and the shipping is very fast.